Last year, one of the most important home improvements we made was replacing the illegal gas fire we’d inherited from the previous owners with a stylish Scandi-designed wood-burning stove. It kept us toasty through the winter but our planning went slightly awry when we didn’t get around to pre-ordering any logs. Instead, each week Pete had to go on a pilgrimage to our local B&Q or garden centre to collect the week’s supply. Poor time management and money-wasting indeed. This year, we were determined to be more organised and got off to a flyer when we came across a Lancashire-based company at the Ideal Home Show in May offering a fantastic deal on pre-ordered logs for this winter so we promptly placed our order, confident that by the time autumn/winter rolled around “surely it’s years away!” we’d be ready for the delivery. But of course as everyone knows, time flies and September arrived with our log delivery imminent but nowhere to store them. Cue the wonderful world of Instagram. I have no idea how many hours I waste use very productively scrolling through feeds but sometimes all it can take is one account to make it all worthwhile. 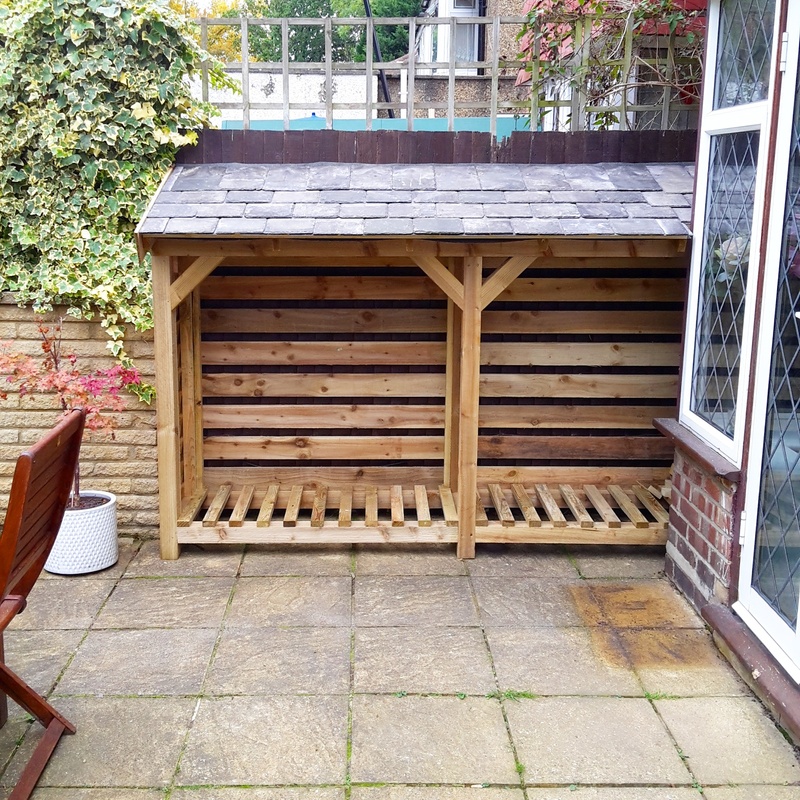 A fantastic example of such an account is Woodson & Son, a Staffordshire-based company making stunning wood stores, bin stores and all manner of useful outdoor storage facilities. “What’s the fuss?” I hear you ask. “Go to B&Q, build your own”. Yeah, ok. A) it can take us a month just to get around to hoovering one room and B) I even want my wood store to look pretty. I take retentiveness to a whole new level when it comes to the house, there’s no denying. Without even checking however, I’d already made the assumption that either Woodson & Son would be outrageously expensive and/or they wouldn’t deliver as far as south London so they were dismissed whilst an alternative was sourced. I kept coming back to them again and again though and noticed one day that some ‘off-the-shelf’ items appeared on their website complete with prices and a statement that they delivered nationwide. Bingo! 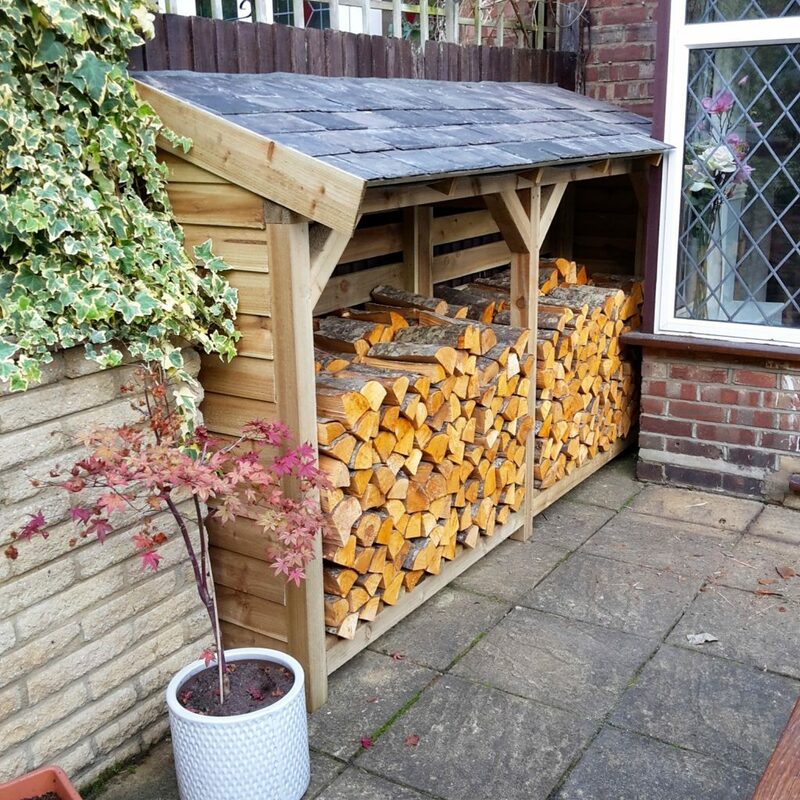 “We are a small, family run business based on the Derbyshire/Staffordshire border, specialising in bespoke log stores. 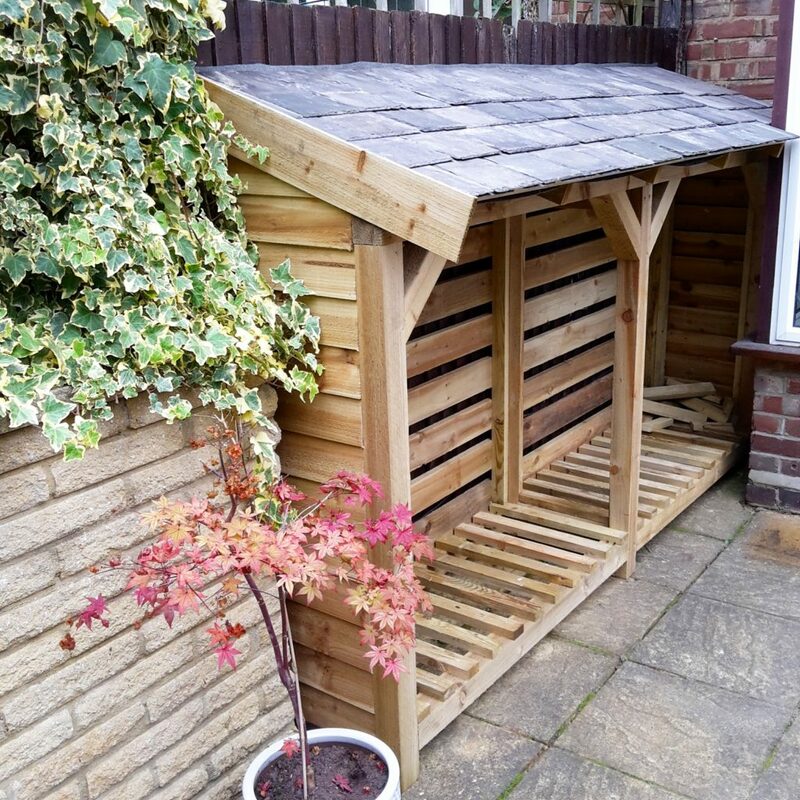 Our stores are handmade with pressure treated timber and reclaimed welsh slate, using traditional roofing methods to create a long lasting, rustic design. It’s rare for me to find a company that does exactly what it says on the tin, but Woodson & Son are true to their word. 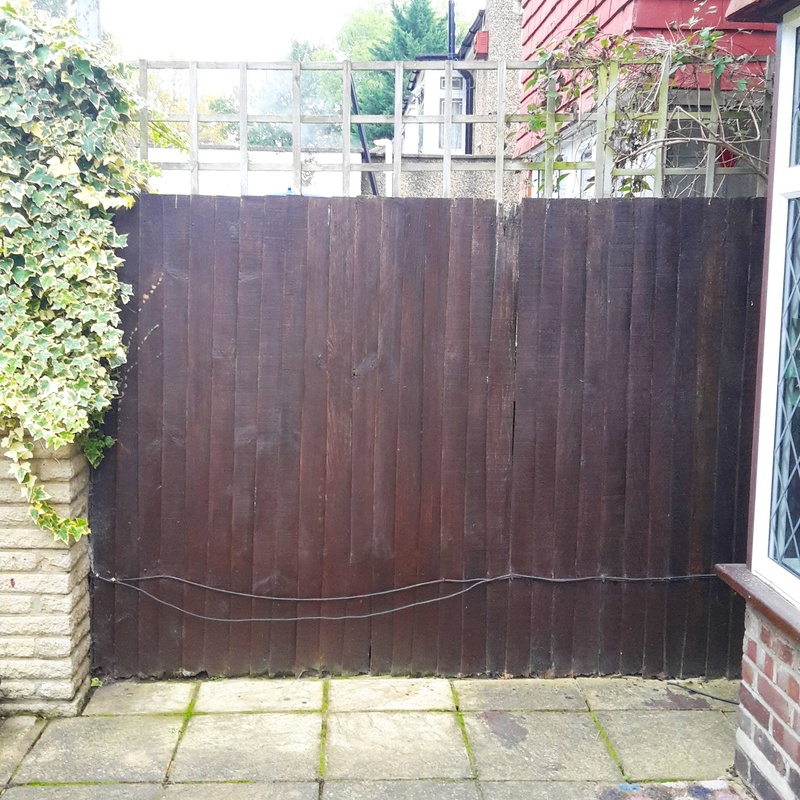 It was about 5-6 weeks between making the booking and our installation date and we had a final quick measure up by phone about 3 days before they arrived. It’s always a little bit nerve-wracking when you place an order for something quite substantial without seeing a real-life version but I’d been so inspired by their Instagram I had a feeling all would be fine. Joe arrived with us just after 9.30 on Saturday having set off from Staffordshire and driven all the way down. He unloaded the pre-cut individual pieces from his van and set about fitting them into our patio space. 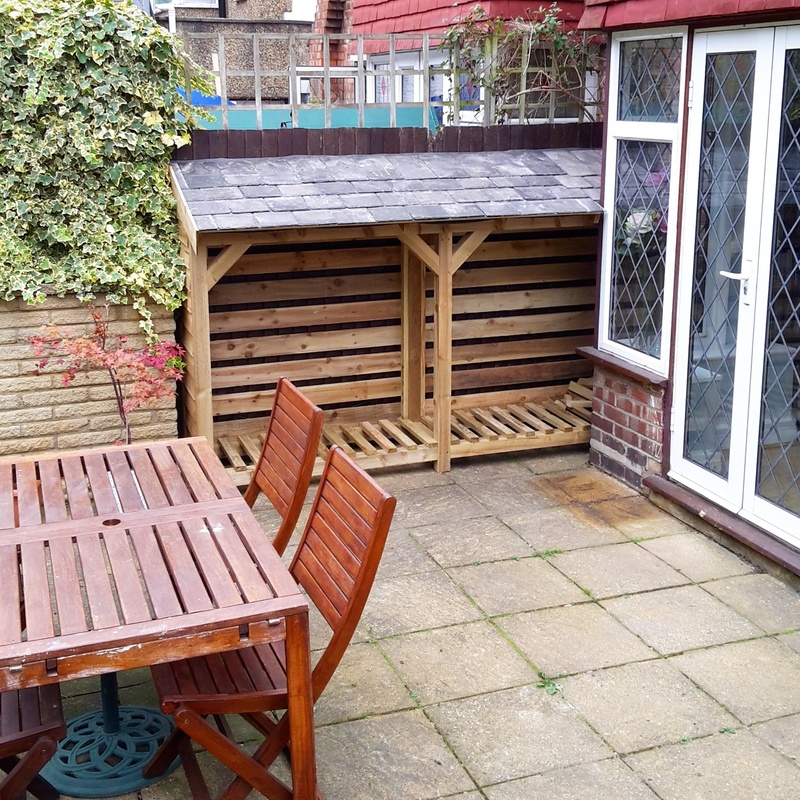 It wasn’t the most straightforward construction as we have a little tucked away alcove behind the bay-shaped patio days but I got the impression nothing was too much trouble and Joe found a smart and stylish way to incorporate the slightly smaller space into the design. 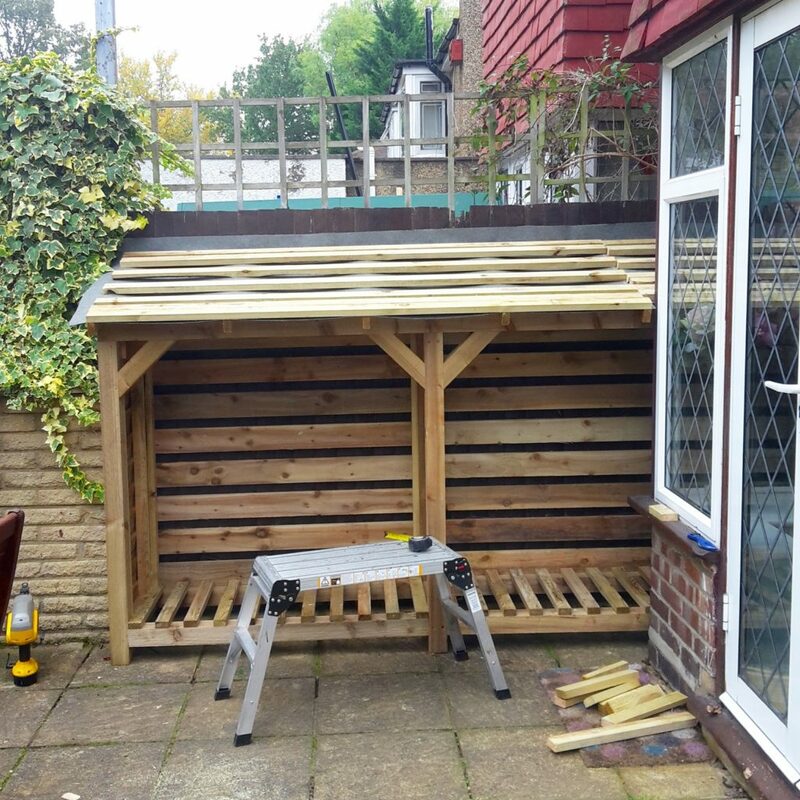 The frame of the wood store is constructed first, with a slatted bottom and back to keep the logs off the ground and protected from the back. A pitched roof follows with waterproof membrane before the grey slates are nailed into place. 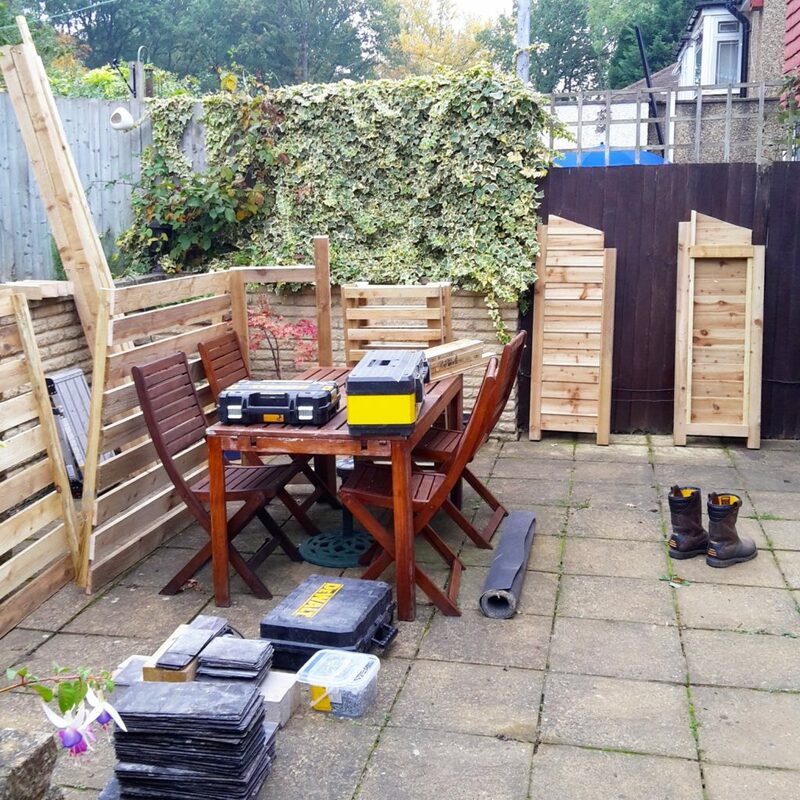 What I love about them is not only the quality of the product but the flexibility too – we opted for a two-compartment store for logs only but they can fit shelves for kindling or combine it with a store for bins too which I’d have loved if we had more space. 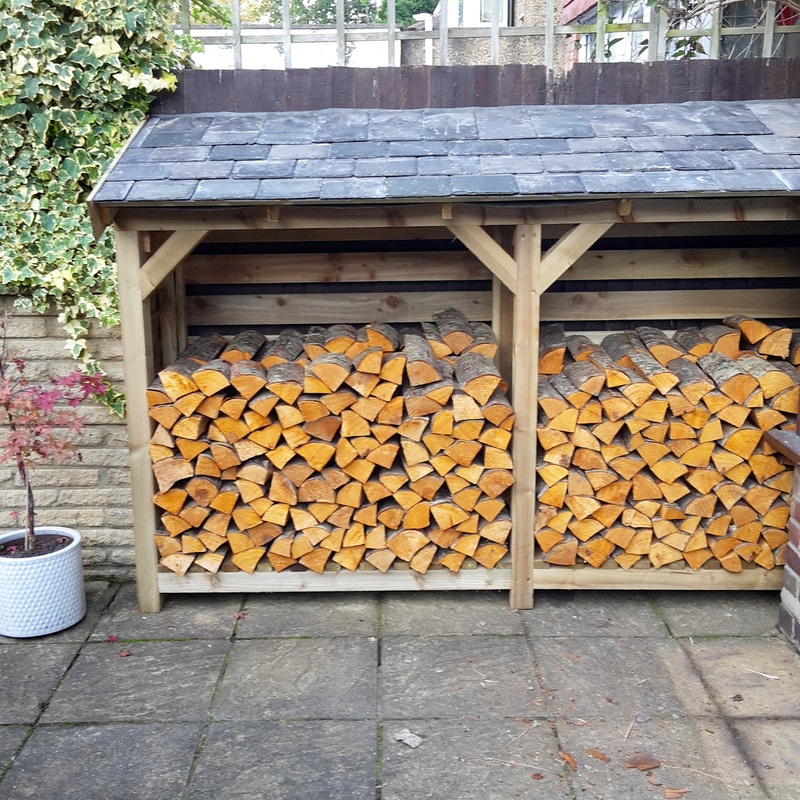 So now our wood store is here, it’s full of logs and we’re ready for whatever winter wants to throw at us. 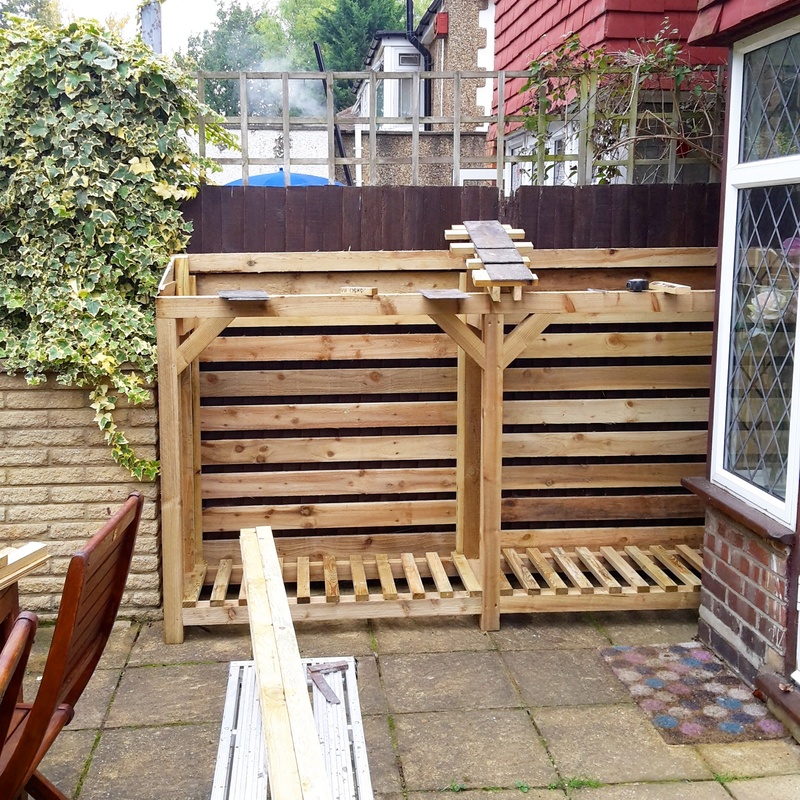 Our store cost £400 for bespoke measurements, delivery and onsite installation. If you want to see some more designs for inspiration, do check out Woodson & Son’s instagram account, it’s dreamy!